MMD president Nevers Mumba says disclosing the agent who was sent president Sata to meet him over false allegations of corruption will just implicate Sata and his family. Speaking through his special assistant Raphael Nakachinda, Mumba said Zambians know who the liar between him and the republican presidency is. In a press statement, Nakachinda said that it’s unfortunate that Sata’ spokesperson George Chellah has resorted to challenging Mumba to disclose the State House agent. ‘It’s unfortunate that the young man George Chellah in his zeal to clear his ‘boss’ the president’s name has resorted to throwing challenges to people like president Nevers Mumba to disclose the envoy that was sent by the president to see him over false allegations of financial misappropriation in Canada, they know this happened and therefore Dr. Mumba will be reluctant to give out that information as it will just implicate the head of state and first family,’ Nakachinda said. Nakachainda said the record of lies at state House is in public domain. He said just a week ago Mumba disclosed that Sata has manipulated two MMD MPs into serving as deputy ministers but state House refused emphatically but a day later, Richard Taima and David Phiri were sworn in. He asked who is telling lies and perpetuating political deceit. He advised president Sata and his team to use their conscious in their work saying using propaganda to dent Mumba’s name will not work as Zambians can’t be cheated anymore. Earlier in the day President Michael Sata challenged MMD president Nevers Mumba to substantiate claims that State House sent an emissary to discuss his alleged involvement in some criminal conduct whilst he served as Zambia’s High Commissioner to Canada. President Sata in a statement released to media by his special assistant for press and public relations George Chellah, said that it is in the interest of Dr Mumba’s personal character and career that he reveals to the nation the emissary he alleges was sent by State House. “It’s in the interest of Pastor Mumba’s personal character and career that he reveals to the nation the emissary he alleges was sent by State House. Let him name the person he met and on whose authority that individual was acting,” read the statement. 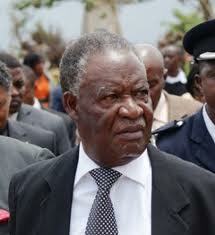 President Sata said that he found Pastor Mumba’s claims fictitious and preposterous. “Clearly, Pastor Mumba has a very exceptional ability to describe events or incidents that never took place. It’s a very rare quality he possesses in this field I must admit,” the Head of State said. The President reaffirmed his commitment to the fight against corruption and other abuses associated with this scourge.